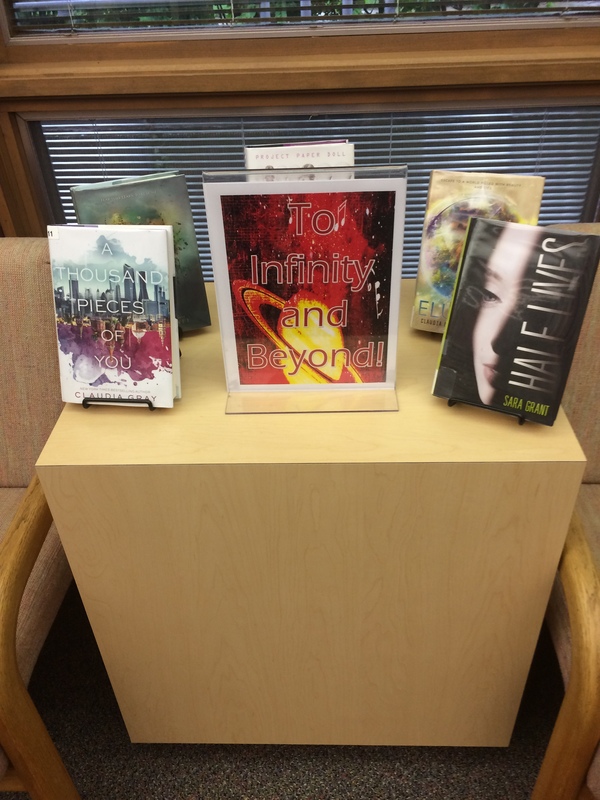 For the Summer Reading Program, Reader’s Advisory puts out different displays in our area that tie into the overarching summer theme. 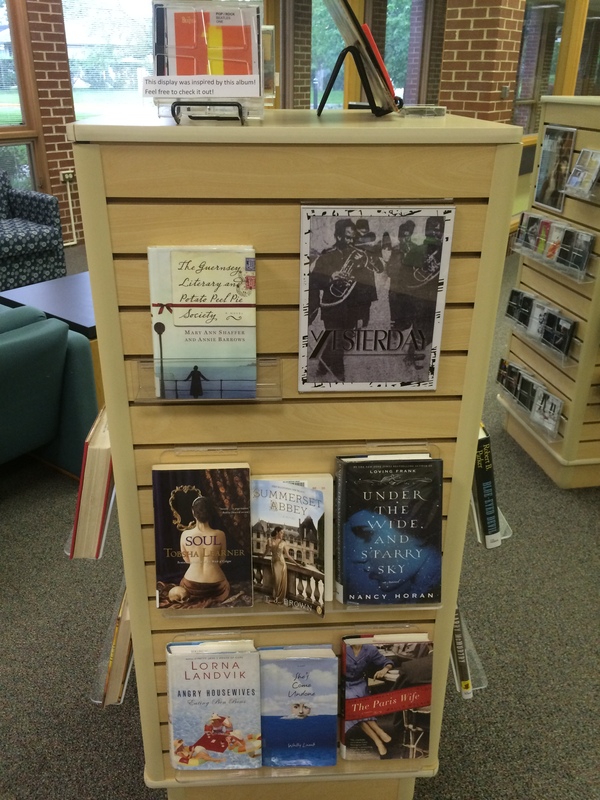 For this summer’s theme, “Read to the Rhythm,” our book, music, and movie displays are all about music! Anything that is on the cubes can be checked out, just like anything else in the library! Right now, there are five different displays going. 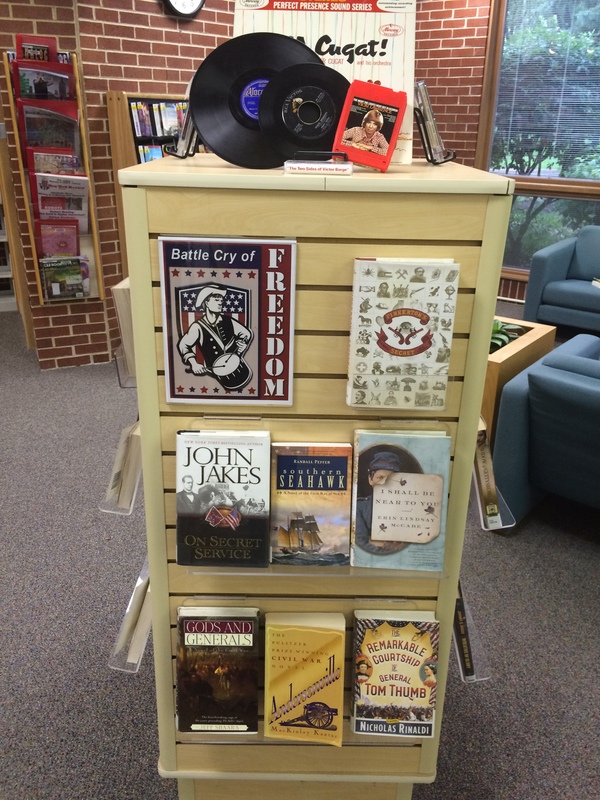 The first book cube is a split between “Battle Cry of Freedom,” Civil War fiction inspired by the music of that period, specifically the soundtrack of Ken Burns’ The Civil War, and “The Rake’s Song,” Regency romances with rakes and rogues inspired by the album The Hazards of Love by The Decemberists. 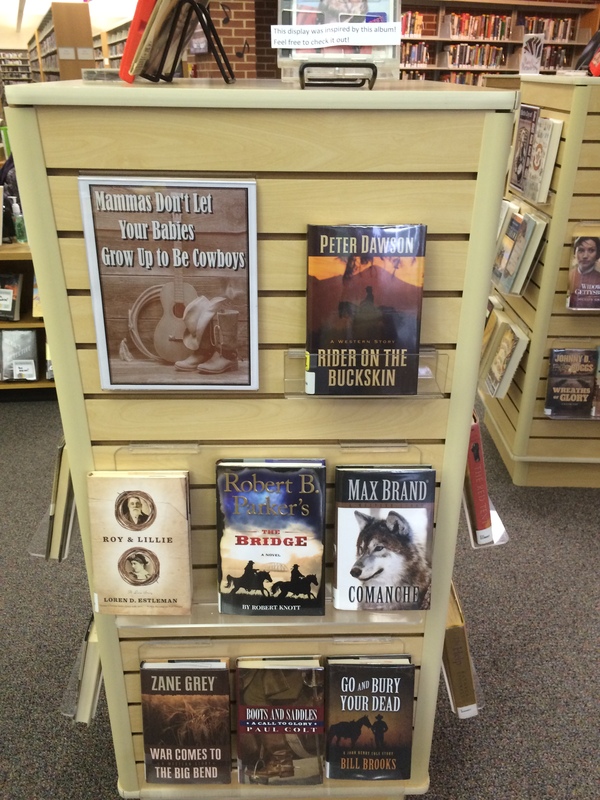 The second book cube is a split between “Yesterday,” selections of historical fiction inspired by the classic Beatles tune, and “Mammas Don’t Let Your Babies Grow Up to Be Cowboys,” western novels whose choice were inspired by Willie Nelson and Waylon Jenning’s cover of a seminal country song by Ed Bruce. 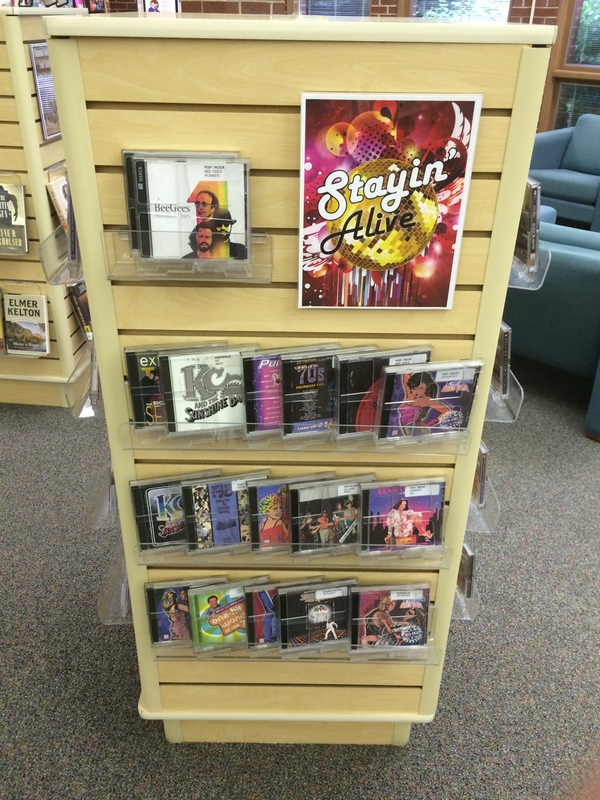 The music display is “Stayin’ Alive”, a rip roaring collection of 70s albums that will keep you dancing disco, inspired, of course, by the Bee Gees. The movie display is “I Will Survive,” a selection of disaster movies inspired by Gloria Gaynor’s hit song. The teen display is “To Infinity, and Beyond!” inspired by the movie Toy Story and its soundtrack, featuring science fiction. Come in and check out these displays for yourself; you can always take something home!